Black & Red Ripple Grip. 100% hand crafted by master bat makers in India, the Heritage Grade 2 Cricket Bat is a very big cricket bat from exciting new brand, Ganador. Boasting very thick (39mm+) edges, a high spine (63mm+) and a thick toe (20mm+), the Ganador Heritage Grade 2 Cricket Bat is ideal for aggressive stroke play, especially on the front foot, thanks to its low middle. 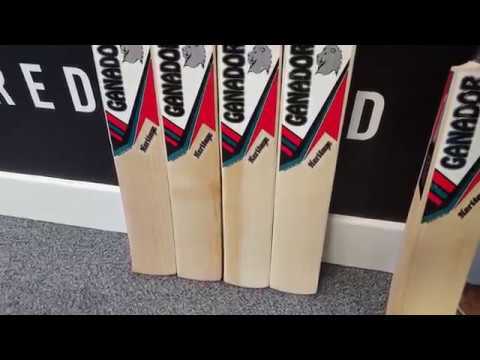 The round handle makes the Ganador Heritage Grade 2 Cricket Bat ideal for wristy players or batsmen wanting to utilise the bottom hand in their stroke play.